Unschooling Dads is a collection of twenty-two testimonials by dads—and prospective dads—sharing their ideas and experiences around unschooling. 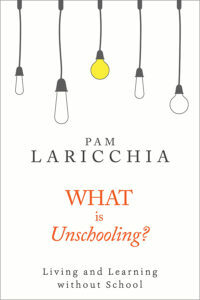 Why did they choose unschooling? 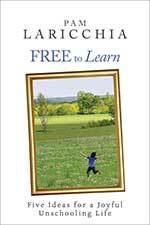 It’s not often that we get to hear about unschooling from the dad’s perspective, and I love that Skyler has taken the time and effort to pull this book together. He’s gathered a wonderful range of views as well, from men who have yet to have children to those whose unschooled children are now adults. Each of them share the insights that have brought them to this point in their unconventional journey. In my mind, the role of a father is to give his children the physical, intellectual, and emotional tools they will need to live in the world. Beyond basic survival skills, they should be empowered to forge a path unique to their own passions. The good parent walks a fine line between watching over them, without actively inhibiting their exploration of the world. To me, it’s the obvious answer to one of life’s greatest questions: How do I give my children a better world than I inherited? 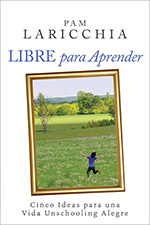 What better way than to give them the freedom to be unique individuals who can learn and grow and thrive in a world that isn’t built to control them, but to aid them in their pursuit of happiness. That’s the world I want to give my children. That’s the reason why I choose unschooling. I have come to realize that children are not blank slates on which we must feverishly imprint our needs, wants, and desires lest they go through life stupid, barren, and destitute. Rather I now view them as unique and exceptional individuals with their own needs, wants, and desires entirely independent of my own. 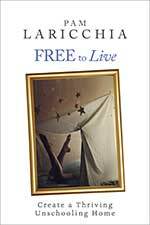 Art Carden describes unschooling, not as hands off, but as an engaged life we live with our children. 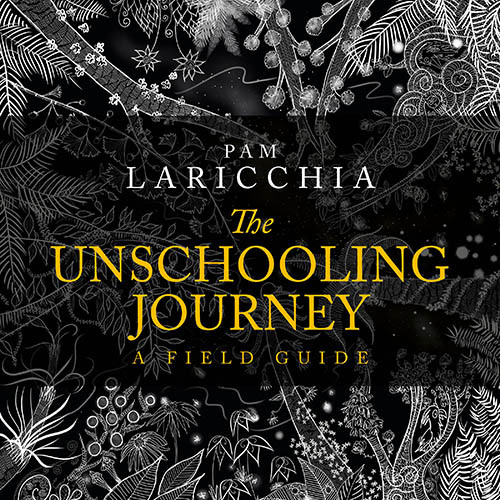 Unschooling isn’t easy—far from it. You’re talking about a lot of trips to the library, and a lot of time spent answering questions with what are too often unsatisfying answers (”son, we can’t do that because it requires computer programming I don’t know how to do”). The reward, though, is worth it. You get to see your children not as projects or as chunks of raw material that need to be fashioned into cogs for the social machine. You start to see them as apprentices and partners on an exploration of a wide and wild world and universe. It’s a lot more fun than spelling worksheets, and I suspect the rewards will be a lot greater, too. As part of showing that learning is just a natural part of a healthy life, I continue to pursue goals of my own, such as learning languages, organizing and building things, reading and writing regularly, playing music, and much more. My ultimate goal is that my children will be able to live independently and pursue truth and happiness in a lifestyle of their choosing. I will always be a part of empowering that whether my children live under my roof or not. Skyler himself also contributed an essay, and I love how this quote captures the essence of the unschooling journey. When we first come to unschooling, usually we’re most concerned about how our children will learn if they don’t follow a curriculum. Yet as we dive into unschooling, over time we see them learning day in and day out and that fear fades. Then, as we look back, we realize that there’s a pattern to their learning: the times we see them learning like crazy are most often the times when they are pursuing things that bring them joy. There may be challenges and frustrations along the way, but they will press on with a determination that astonishes us. Soon we stop looking for the learning, and concentrate on the joy—we know the learning is wrapped up in there as sure as the earth turns. My wife’s reluctance has faded quite a bit now that she’s witnessing our children’s joy. 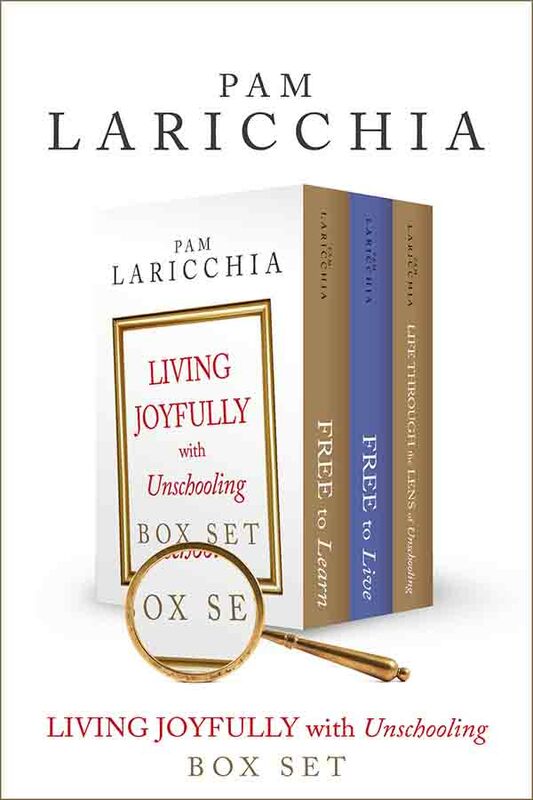 For me, that’s the primary focus of unschooling: helping our children live as joyfully as possible. Everything else will naturally follow from that. As long as our children are happy, they will have confidence in themselves that they can achieve anything they want to in life. I truly believe that, and unschooling is the better vehicle toward living joyfully than any schooling-based alternative. 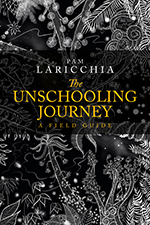 We concluded that the proper approach for our children was unschooling, which I like to describe as throwing books at them and seeing which ones stick. Leave them free to learn what they want, while providing suggestions—which they are free to ignore—and support. Put them in an environment—web access, people to talk with, visits to the library—that offers many alternatives. If, at some future point, they discover that they need something that was left out of their education, they can learn it then—a more efficient strategy than trying to learn everything they might ever find useful, most of which they won’t. By the time they were 12 and 10 respectively, we had segued naturally into unschooling. 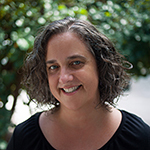 The difference was dramatic and demonstrated to us that kids will learn and learn and learn … if their parents and the state will just get the hell out of the way and let them. 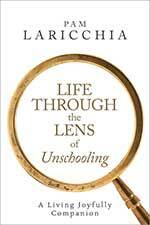 Unschooling Dads is an engaging peek into what unschooling looks like from the dad’s perspective. It’s one we don’t often hear about, though they are active participants in many unschooling families. I really appreciate Skyler taking the time to seek them out and bring their insights and experiences together! 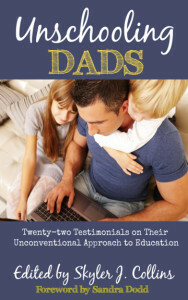 If you’d like to read it, you can download the free ebook editions here: Unschooling Dads: Twenty-two Testimonials on Their Unconventional Approach to Education. And you can buy the print edition here: Amazon.